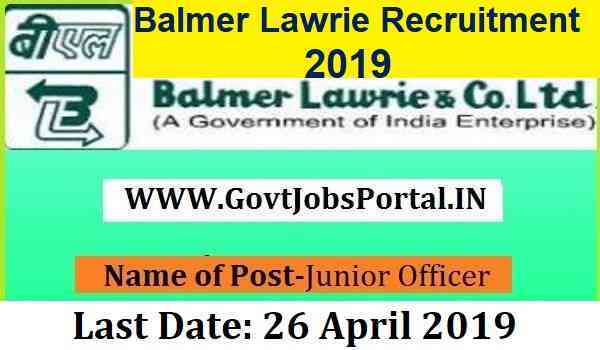 Those who have completed their Graduate Degree (or) Master Degree (or) Diploma (or) any other equal qualification from any documented university/ institution can apply for this Balmer Recruitment 2019. 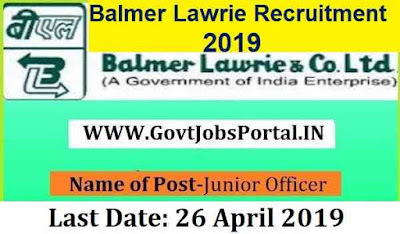 For the job profile of Junior Officer [Official Language], the minimum age of the applicants will be 18 years and maximum age limit is 35 years. For all other remaining posts, the minimum age of applicants must be 18 years and maximum age limit will be 30 years. Remaining Categories candidates: Rs. 300. 26TH April 2019 is the Last Date to Apply Online.